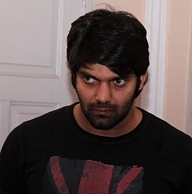 Arya was the first choice of director Saravanan to do Ivan Vera Mathiri but he could not take it up due to some reason. The film released this past Friday and has been welcomed with open arms by one and all. The pacy nature of the movie combined with its wholesome entertainment elements have made it a successful venture for its stakeholders. Arya recently happened to see the film and has apparently loved the film. The head of UTV Motion Pictures South, Dhananjayan G tweeted the same and was very happy about the fact that Arya felt IVM was a well-made film. Arya is currently associating with UTV on Purampokku, directed by S P Jhananathan and has already worked with the production house on films such as Vettai and Settai in the recent past. People looking for online information on Arya, G Dhananjayan, Ivan Vera Mathiri, Vikram Prabhu will find this news story useful.